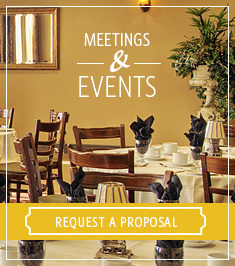 The meeting and event rooms at the Parlour Inn in Stratford, Ontario are ideal locations for your next event, conference, workshop, small business meeting or gathering. 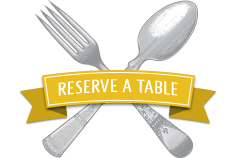 We offer three gorgeous rooms, available for short one day events or extended functions, and we can provide top-tier catering services at your request. Our accommodations are also a great spot for your organization’s next national or international convention. Businesses can rent space and services at the Parlour Inn for annual general meetings, conferences, staff holidays, business negotiations and more! We can facilitate business gatherings from all fields and professions. Technology, financial, legal, education, healthcare and other organizations can trust us to make their next corporate gathering special. The largest of our accommodations, the Winston Churchill room, can accommodate up to 120 guests. We also have two smaller function rooms available in the Windsor Room and the Patrick Room, each ideal for more intimate meetings or celebrations. Each of our rooms is catered by our gourmet Parlour Steakhouse. For the past 25 years, our restaurant has been providing Stratford with a top-quality dining experience. Our event planners will work with you to craft a catering plan or menu for your next event. Our friendly and knowledgeable staff will help you customize any event with a variety of themes and versatile room options. Our attention to detail will ensure you have an event to remember. Call the hotel at 1-877-728-4036 to book a site tour or to talk with one of our conference planners about your upcoming event, or fill in our Meetings + Events RFP and we will be in touch shortly. The Parlour Inn is also an ideal location for wedding ceremonies and receptions. Check out our wedding accommodations to learn more.